The Mighty Sno-Blower is a revolutionary flock machine that utilizes German engineering to transform and separate micro fibers into a delicate and even accumulations of "snow-like flakes" that look like the work of Mother Nature herself. You can't tell the difference. Light weight plastic cabinet, mobile and affordable. For that special look, you can adjust water volume, spray pattern and material flow. 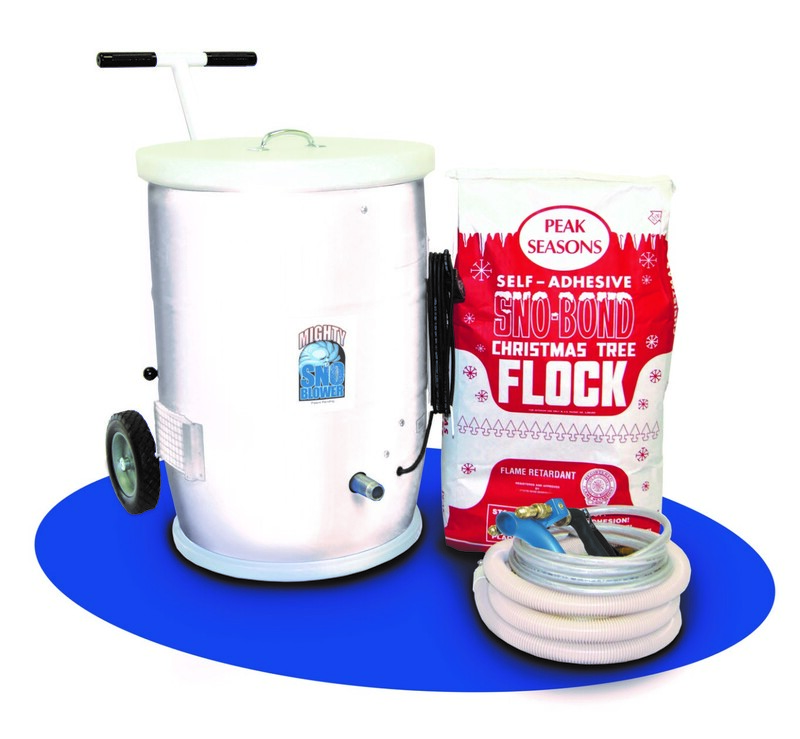 Comes with Cadillac motor, a deluxe flock gun, flock hose and water hose. Built in the USA.